Roulotte 2 slaapkamers 26m² - year 2017. 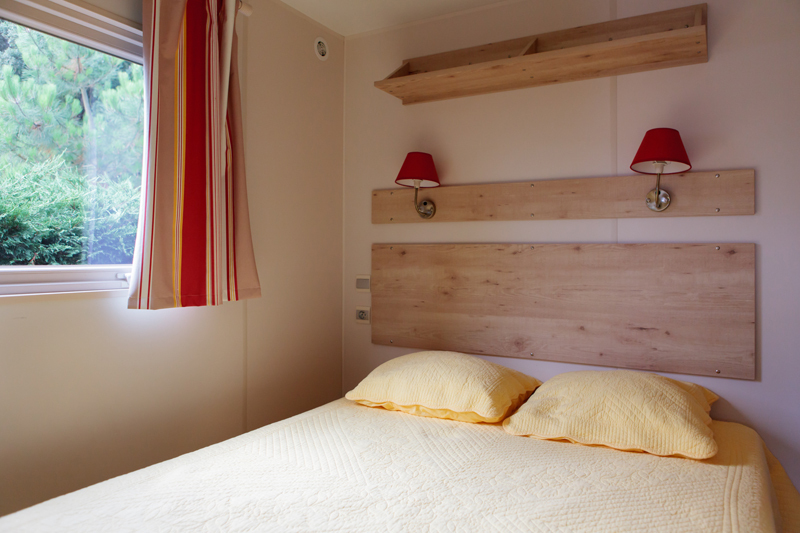 In Argentat in the Dordogne Valley discover an unusual accommodation, a nomadic atmosphere in a campsite with outdoor swimming pools and indoor heated swimming pool with balneo; The surface of 26m², which will be your favorite place of residence flowered. 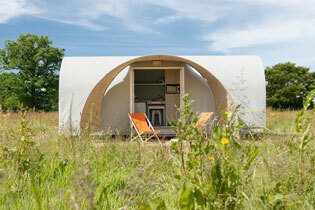 A campsite along the Dordogne, with animations and a sport area for the family! 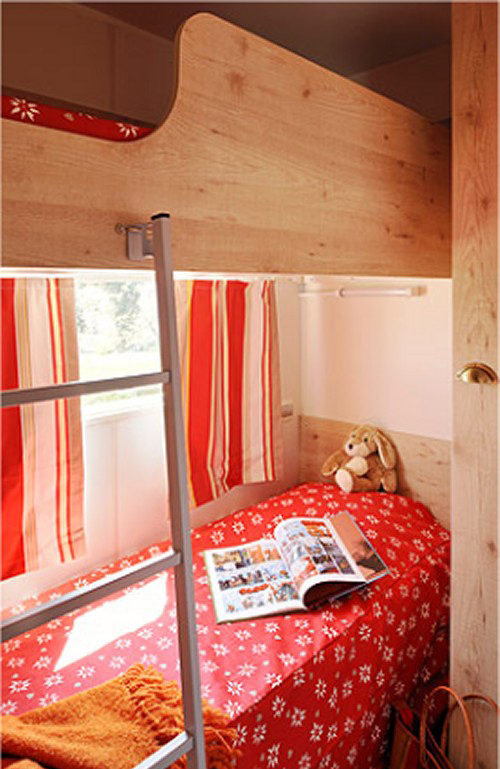 A room with double bed in 140 and a room with 2 bunk beds in 80. A sanitary with shower and separate toilet. 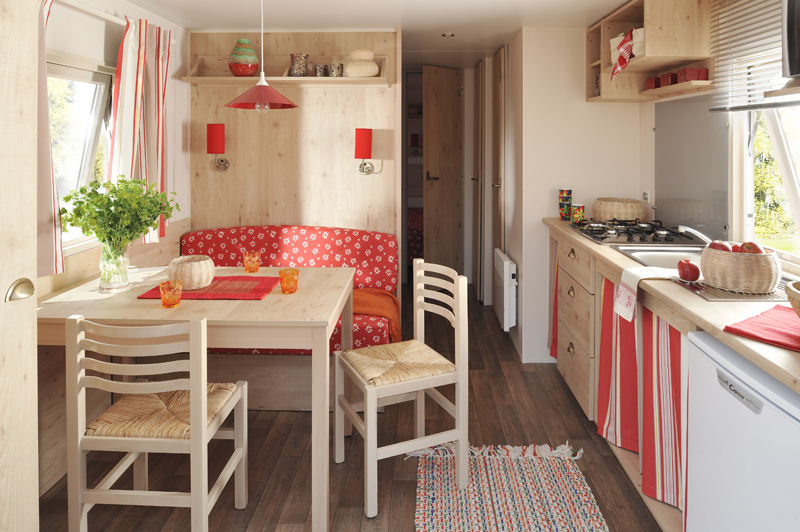 There is a living area with refrigerator, and 4 ring hob, microwave, coffee maker, crockery kit for 6 people. Night side: pillows and blankets provided. Terrace side: A garden furniture with sunshade. 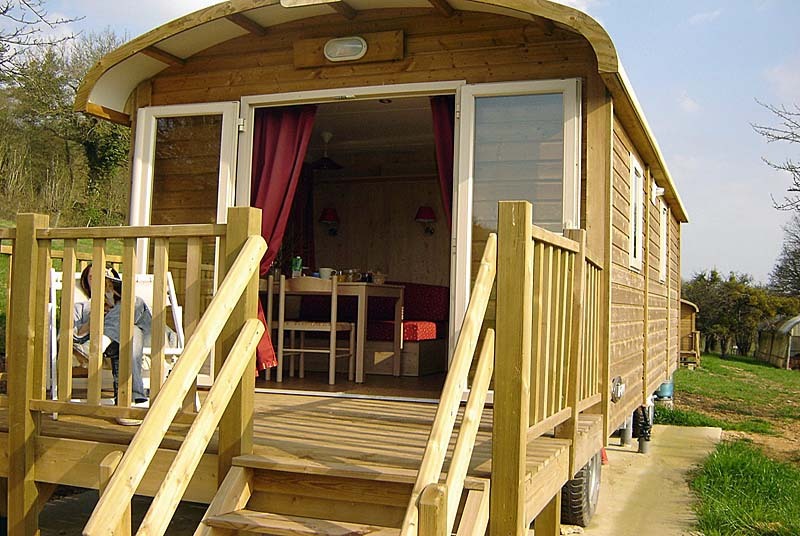 A raised terrace where you can fully enjoy your holiday.